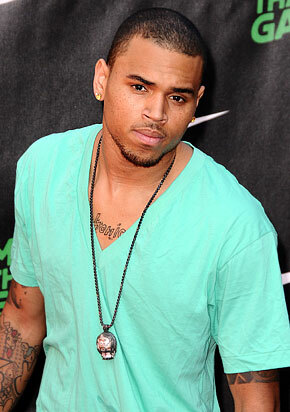 A couple of posts down you can read about how Chris Brown's neighbors cant stand living with him. They say he parks illegally, and causes disturbances at all times of night. In the initial post we told you guys that Chris' lawyer explained that the spots are acually Chris' & that he has the deed to prove it, but the developer never let it be known that they were handicapped spots. "So this is cleared up... My neighbor has a problem with me (as do some people)so this whole tmz story is a way to continue... The bs. My neighbor carves my name in our elevator to incriminate me so it looks like I'm a reckless 22 your old. My parking spaces in my building that were assigned to me when I bout this crib are painted over with handicap and no Parking signs .A person should be able to live in his or her own company of their house! I'm barely home so these stories and accusations are so childish! My neighbor also calls the parking enforcement everyday so I get a 360 dollar ticket for each of my cars. (everyday)"
Hope this gets worked out. Sounds crazy! He ended his rant on a good note though..
We'll see how all of this turns out, but yes..congrats dude.